Apple Slab Pie! The perfect dessert for a crowd, plus more flaky crust in every bite. Use a mix of apples for best flavor. 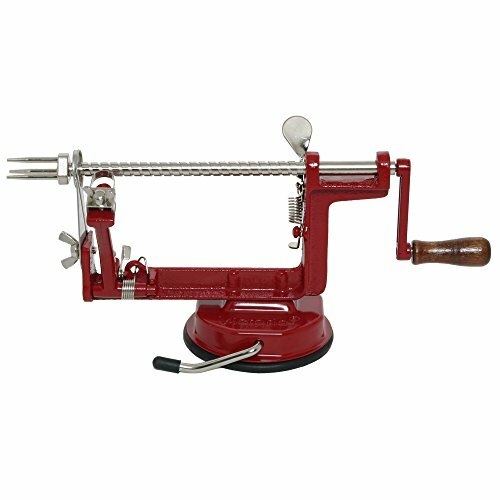 Great for apple-picking parties, Thanksgiving, or holiday gatherings. An apple slab pie, in my opinion, is the best way to serve dessert to a crowd. Instead of baking your pie in a round tin, as is traditional, it’s baked in one big sheet pan. Cut into squares, everyone gets their own “slab” of apple pie! With an apple slab pie, you usually only add a thin layer of filling, so there’s also a much higher crust-to-filling ratio. This means more flaky, golden pie crust in every bite, and in my experience, we’re really all in it for the crust! I also love that slices of apple slab pie are so easy to cut and lift from the pan — you avoid the dreaded removal of the first wedge of pie. Maybe it’s the food stylist in me, but it always gives me such stress! It’s almost always a mess and this rectangular version makes for a much more graceful transfer from pan to plate. I am a firm believer in using more than one apple variety in my apple pies. I like to use 2 or 3 types (Granny Smith, Braeburn, and Honeycrisp are a favorite mix) so that my pies have some chunks of tender apple that hold their shape, while others become as soft as applesauce. I also think a mix of apples makes for a more complex and interesting flavor. Just like any pie, remember to keep your dough well chilled before baking for maximum flakiness! Best Toppings for Apple Slab Pie! Want more ideas for Thanksgiving pie?! Check out even more great apple pie recipes! For more detailed instructions on mixing and rolling the pie dough, see No Fail Sour Cream Pie Crust, though note that the ingredient amounts are slightly different (this slab pie uses 1 1/2 full recipes of Sour Cream Pie Crust). 1 Make the pie dough and chill: Cut the cold butter into cubes and set aside for 5 minutes to take the chill off. In a large mixing bowl, whisk together the flour, salt, and sugar. Add the cubes of butter and work them into the flour with your fingers. Pinch and rub the cubes of butter together until the mixture resembles coarse meal with some chunks of butter. Add the sour cream and use a fork to mix it into the flour-butter mixture until it forms big curds of dough. 2 Roll out the dough: Roll out 1 of the rectangles of dough into a thin rectangle roughly 11 x 15 inches (slightly larger than your pan). Gently transfer the crust to a quarter-sheet pan or jelly roll pan, and fit it into the corners. The crust should hang over the sides by about an inch. Do not trim. Transfer the pan to the fridge and refrigerate for 15 minutes. 3 Prepare the apple filling: Peel and core all of the apples. Cut them into 1/2 inch chunks. In a large mixing bowl, combine the cut apples, sugar, cornstarch, cinnamon, and a pinch of salt. Remove the bottom crust from the fridge and spread the apple filling evenly over the surface of the crust. Traditional Top Crust: Transfer the rolled-out dough over the apples. Roll and crimp the edges. Cut six vents in the top; three on top and three on the bottom. Lattice Top Crust: Cut the rolled-out dough into strips and weave or braid the strips into a decorative lattice top crust. Roll and crimp the edges. 5 Chill the pie and preheat the oven: Transfer the pie to the fridge and chill for 30 minutes while the oven heats. Heat the oven to 375F. 6 Brush the top of the pie with egg wash: In a small bowl, whisk together the egg and milk. Brush the top of the pie with the egg wash and sprinkle with sanding sugar. 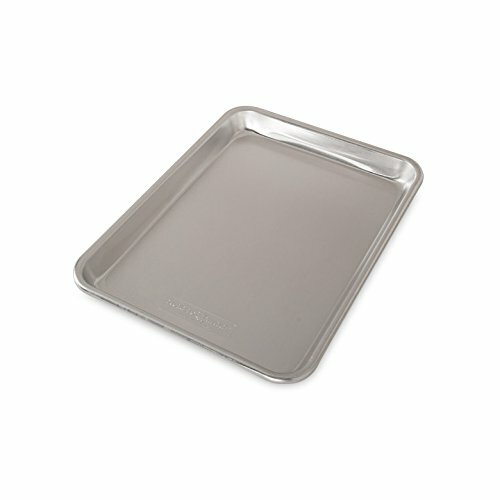 7 Bake the pie: Place the pie on top of a larger sheet pan or baking sheet to catch any drips. Bake for 50 to 60 minutes, or until the top is golden and the center of the pie is bubbling. 8 Cool completely: Cool the pie completely before serving, about 45 minutes. The fully baked pie can also be covered in foil, stored on the counter, and served the next day. Warm briefly in the oven if desired before serving. Leftovers will also keep, wrapped in foil, for about 2 days at room temperature or about 5 days refrigerated. Hello! All photos and content are copyright protected. Please do not use our photos without prior written permission. If you wish to republish this recipe, please rewrite the recipe in your own unique words and link back to Apple Slab Pie on Simply Recipes. Thank you! This was delicious! I did find that I had to patch the dough quite a bit, and might double the original recipe for the sour cream crust next time. Leftover dough is not a problem, as I usuall make something with it. I added about a cup more apples and adjusted the filling ingredients as necessary. My first time making an apple pie. Mine didn’t look as beautiful as yours Cindy ;) but it was certainly delicious! I will definitely make this again. Even as a dentist, I appreciate a sweet treat and this is certainly a good one. Thank you for this. Your pie looks gorgeous. I’m with you; it IS all about the crust! You have inspired me to make this for Thanksgiving. I’m tempted to put a layer of parchment underneath to make cleanup easier. Please post some more slab pie ideas. I’m thinking thaat they will be easier to pack in kids lunches. I love all your recipes especially the Apple slab pie my kids love it thank you. Love slab pies. An especially great choice for someone who is watching their weight and doesn’t want a deep dish pie lingering on the counter top at home tempting you on every pass. Slab pies are a lot thinner which doesn’t make them ‘healthy’ but it does limit your intake somewhat!